Home Articles What is the Aura? Your AURA is the energy produced by your spirit, and it emanates all around you, like a fluffy cloud. 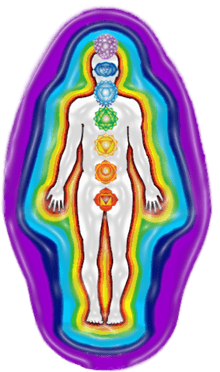 There are seven layers to the aura, corresponding to, and connected with, each of the seven chakras. The seven layers of the aura are: the Etheric, Emotional, Mental, Astral, the Etheric Template, Celestial and Ketheric Template of layers the aura. These are the layers of the aura, starting with the innermost, closest to the body, and finally, the outermost, closest to God. The Root Chakra is the source of the Etheric layer of the aura, which is associated with awareness of the physical body, and physical survival. It is the layer closest to the body, and densest in texture. It can sometimes be seen as a sort of grayish “heat wave” 2-3 inches around the body. It anchors the aura to the physical body. The feeling nature of the Sacral Chakra connects it to the Emotional layer of the aura. The shifting emotions flow through the Second chakra and drift like a soft cloud of rainbow colors within the second layer of the aura, shifting and changing with our emotional nature. The Solar Plexus Chakra is connected to the Mental layer of the aura. The mental layer of the aura vibrates with, and is formed by, our thoughts, and is a fine, bright yellow energy. It pulsates and thickens when we concentrate and focus our minds. The Heart Chakra is directly connected to the Astral layer of the aura. It is the bridge, or melting pot, between the lower/denser energies of our body Chakras, and the higher/lighter energies of the higher Chakras. The Throat Chakra is connected to the Fifth layer of the aura, the Etheric Template. This layer of the aura is a “template” for your physical body in the astral plane… such as, when a person experiences “astral projection” or ab Out of Body Experience (OOBE) as if they are walking around in an invisible (to others) form of their physical body. The Third Eye Chakra is connected to the Sixth layer of the aura, the Celestial layer. This layer of the aura is associated with the process of Enlightenment and the experience of spiritual ecstasy. It is your source of connection to unconditional love, the Source, of God. The Crown Chakra is connected to the Ketheric Template layer of the aura. The Ketheric template is the “soul plan”, it reflects all our past lives, and our goals for this life. It is composed of fine silver and golden threads of light, directly connected to God. The chakras, the aura, and your manifested physical body, are made up of, and held together by energy. Your thoughts and emotions are comprised of energy. Energy resonates at various frequencies; some frequencies are beneficial to human emotional and physical health, and some are not. It is probably impossible and unrealistic to try and pin point absolute, exact “positive” and “negative” frequencies, as the range of frequencies is infinite, but we do have a few guidelines when it comes to the Chakras. Light, color, and sound are composed of electromagnetic energy, vibrating at different frequencies. Our Chakras, the seven energy centers within the physical body, also correspond to different sounds and colors. 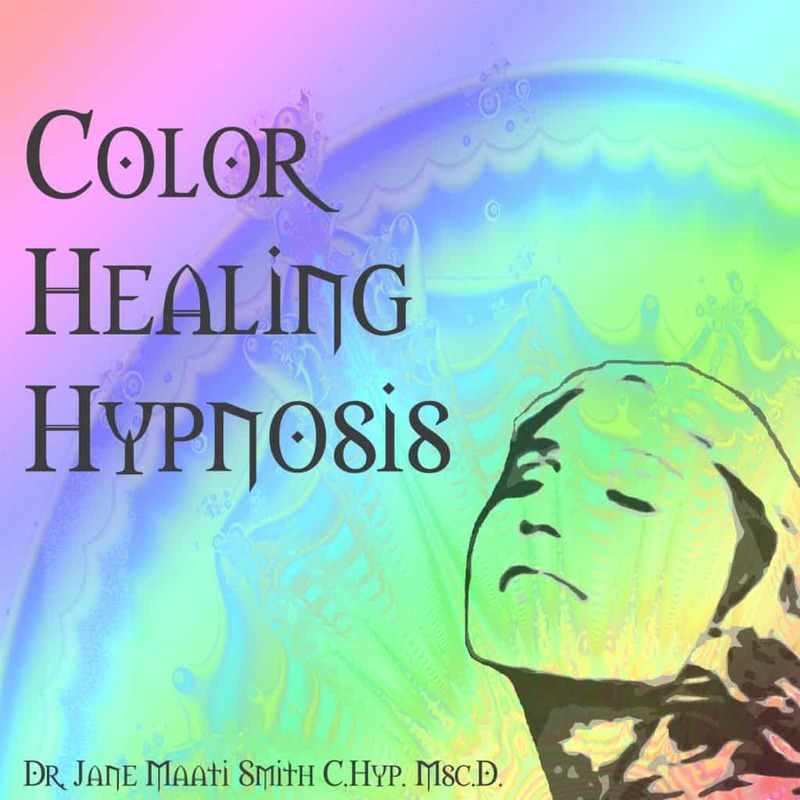 This self hypnosis MP3 uses the sounds and colors of the Chakras, to help you in enhance your emotional and spiritual wellbeing. The Isochronic Tones used on this MP3 realign the out of tune frequencies you may be experiencing within you emotions and spirit, by exposing you to the Solfeggio color frequencies associated with each Chakra. This MP3 gently entrains your brain to a refreshing level of meditation. Just play on your stereo, to fill your environment with deeply meditative and healing Solfeggio tones. This is not exactly music, it is pure, Chakra balanced Solfeggio color healing tones combined with the hypnotic sound of Chakra attuned Tibetan Singing Bowls. Isochronic Tones, No headphones Needed.